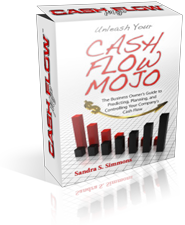 Basically, the cash flow management of your business income deals with how fast and efficiently your business earns income from your clients, customers and patients versus the amount your business spends on basic survival and growth. The problems start when spending exceeds your business income. When that happens, it is up to you, the business owner, to take action to solve the cash flow management problem by breaking through your mental barriers and doing the things that will actually increase the revenue. The first question you should ask yourself is what salvo should you launch this week that could effectively double your annual sales over last year’s revenues. That’s the question that puts the 80/20 marketing rule into play. That can make increasing your business income a lot easier to plan out and execute. Before you start expending your resources and energy on increasing the revenue, you should set your business income goal. If your business took in $250,000 last year then decide what you want to set the revenue goal for this year, like half a million or so. If you don’t know what your income planning target is, you’ll under-estimate the amount of effort and resources you’ll need to make it. Most of the business owners who start working with my Cash Flow Mojo software under-estimate what their income planning target should be by 13 – 25% depending on what industry they are in. Figure out who those customers were and use that to target your marketing to them to sell them additional products and services. Also use them to figure out the exact target audience demographics you should be targeting your marketing messages to. Here are some tips from Entrepreneur Magazine contributor Perry Marshall on using your inner procrastinator to figure out what actions you should be doing to increase your business income and take your company to the next level and reach that new goal you set.